Sorry, haven't we seen that before? 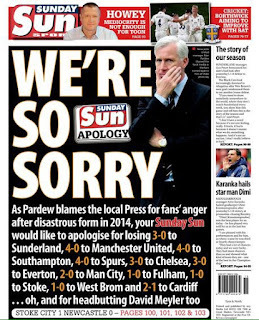 Football managers blaming the Press is not new. And neither is the counter-reaction from the newspapers. Here is today's Sun back page on Manchester United manager Louis Van Gaal, bemoaning newspaper coverage. And here is the Sunday Sun (not related) in Newcastle when Alan Pardew did something similar last season. Look familiar? Richard Bowyer @Sightscreen @EchoPeterBarron @petersands55 It's great when the story comes to you! The bar stayed open, fortunately! Peter Barron @EchoPeterBarron @Sightscreen @petersands55 Blimey! I remember that. It was a revenge attack because the barman was having an affair with the driver's wife. There was also a fire at the hotel. The contingent from The Irish Times were in the bar (inevitably) and had to let the firemen in as they couldn't negotiate the revolving doors. They then set about giving firemen's lifts to the women in the restaurant. The course presented the IT chief sub, Pat McGoldrick, with a toy fire engine. 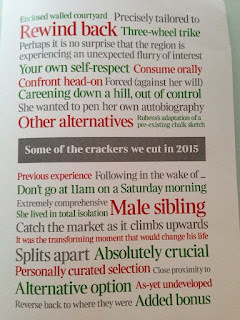 Peter Barron @EchoPeterBarron @petersands55 @house_writer Favourite memory. False fire alarm in Fawlty Towers, the Irish Times lads giving firemen's lifts to old ladies. And at the same time as that was going on, the course hacks claimed to have tracked down Mary Bell, who killed two boys in Newcastle when she was 11. And then there was the story that made the splash in the Evening Argus in Brighton. Peter's jacket went missing for half an hour when we changed conference rooms. It was found and his wallet was still there, so no worries. 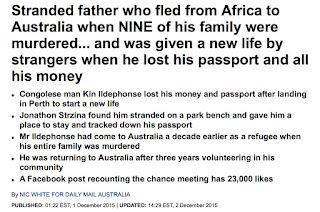 But someone had taken his credit card details and used the number to fax a booking for a luxury hotel. 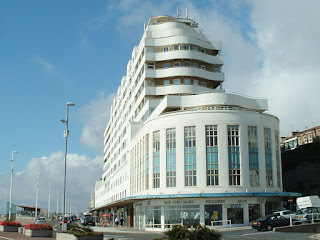 The first Peter knew of it was when he received a letter from The Grand Hotel in Eastbourne inviting him back for another stay – and a bill for almost £400. Peter insists: “I’ve never even been to Eastbourne in my life but I have run up a huge hotel bill there with a woman I have never met." The story is on Hold The Front Page here. It sounds like there was nothing but mayhem ... but there were gentler memories too. Peter Barron @EchoPeterBarron And playing bingo on Hastings pier with Hazel Dolan and winning a tin of Fray Bentos corned beef! So if you have any stories from those heady days, let me have them and I will add them to the list. And who knows, you might win a bottle of something special, a toy fire engine or even a Fray Bentos pie. 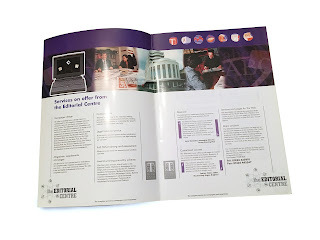 It was exactly 20 years ago today … that my career changed forever. 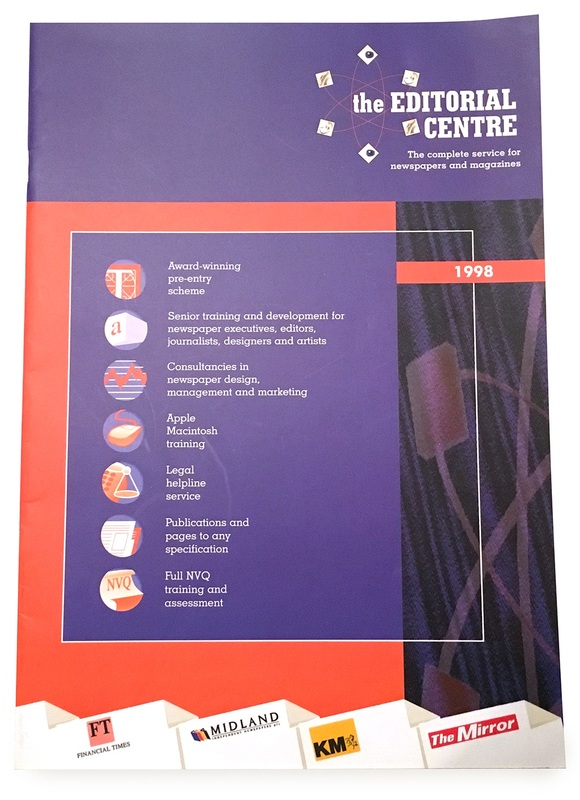 It was on December 22, 1995, that my wife Pam and I bought the Westminster Press Training Centre in Hastings and changed it into the Editorial Centre. I had worked for WP for 18 years. I started as a reporter on the Shields Weekly News in Tyneside and chief subbed the Evening Despatch before becoming editor of The Northern Echo. 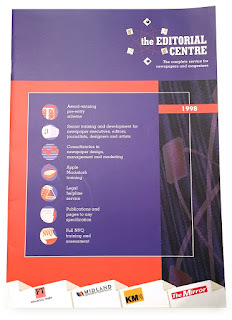 In 1993 I moved South for a central management role. Two years later the parent company, Pearson, was looking to sell. As it geared up for the sale, one of the casualties was going to be the pioneering but unprofitable training centre on the seafront in Hastings - the brainchild of Nick Herbert and Bob James. I offered to buy it and, to my astonishment, the company said Yes. By the time we signed on the dotted line we had secured enough contracts to guarantee our fledgling business would be profitable for at least its first two years. Those at the centre - Robin Thompson, Steve Nelson, Frank le Duc, Steve Gladwyn, Sarah Dixon, shorthand supremo Sylvia Bennett and Anne Scott included - all came with us and helped turn it into a success. The Editorial Centre thrived for nine years before we sold it to the Press Association in 2004. I then helped PA absorb it into its own training company, buying the Trinity training centre in Newcastle along the way, before standing down in 2007. My new company, SMS, has continued to work hand in hand with PA ever since. So that gamble 20 years ago was the start of a huge adventure and a career-change I could never have predicted. It has seen me work for almost every national and regional newspaper. It has led to jobs in India, China, America, Australia, Malta, the Channel Islands and Ireland and with companies from Nigeria, Saudi, Hungary and Russia. We have trained thousands of people, many now award-winning journalists and executives. Some have remained firm friends. We have redesigned 90 newspapers and produced live publications with our long-standing partner, designer Mike Brough, and met some amazing people. We owe a big thanks to many who have helped and guided us along the way. But I am particularly indebted to Shamus Donald, who was the human resources director of WP and who eased the deal through, negotiated an ongoing contract and made it as painless as possible. Without him, none of what happened later would have been possible. So, 20 year ago today - the Friday before Christmas - I went to a solicitors in Hastings, signed a document, which was faxed to Newspaper House in London, transferred a bundle of cash and then Pam and I threw a party. Tonight it is a less flamboyant affair. But we have opened a special bottle and will raise a glass to Shamus - and to all those we have met along the way. Cheers. 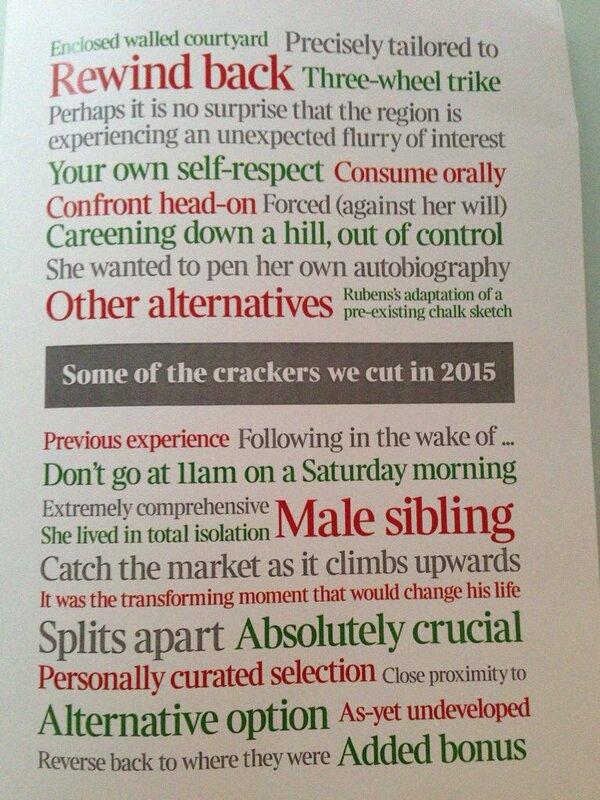 Here's a classic Christmas card from the sub-editors at The Times. 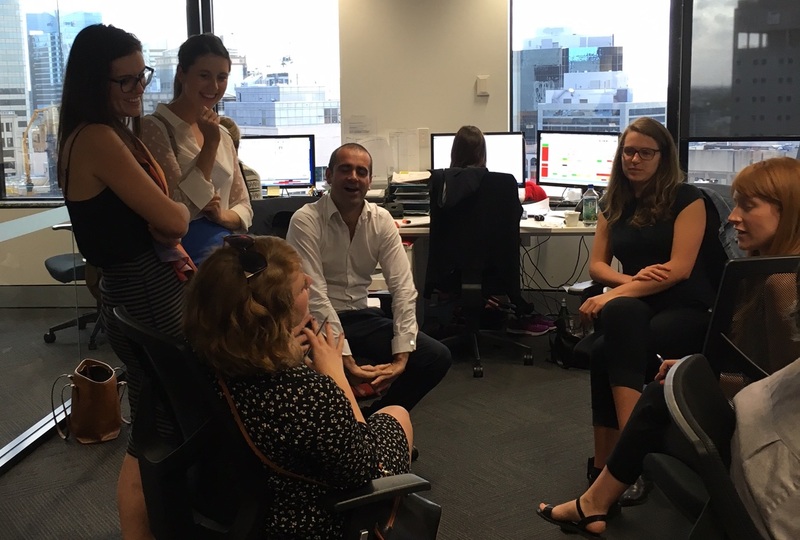 For the last four weeks the newsquiz has come from Sydney where I was working with Daily Mail Australia trainees. 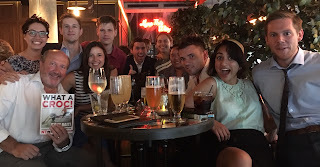 Hardly surprisingly, it proved too difficult for the usual quizzers. 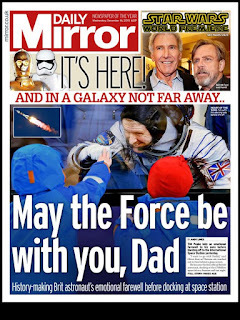 I got back on Saturday though, so this week's newsquiz is back to its UK-centric best. As usual there are 20 questions with five bonuses - so 25 points to be won. Let me know how you get on. 1. Tim Peake, the European Space Agency’s first British astronaut, was launched into space on Soyuz capsule from which country? Bonus: What rank does Tim Peake hold? 2. 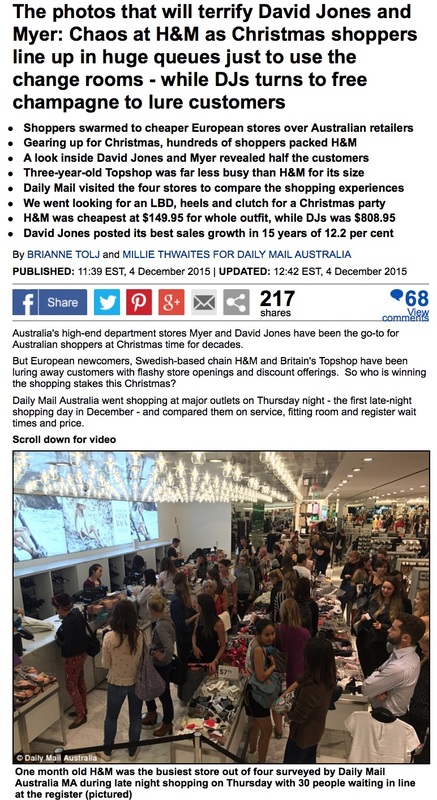 An Australian court ordered which UK brand to be taken off the shelves? 3. Many airlines, including BA, banned what from their planes? 4. Why was 15-year-old Nawaf Al-Tuwayan in the headlines? 5. Russian President Vladimir Putin said, there is a 'creeping Islamisation of Turkey' that would have who 'rolling in his grave’? Bonus. Saudi Arabia has formed an alliance of how many Muslim nations to fight ISIS? 6. One of David Cameron’s demands at the EU summit in Brussels is to restrict EU migrants' access to in-work benefits such as tax credits for how many years? 7. With more than 15 million viewers, what was revealed as the most-watched UK TV show of the year so far? 8. Disney paid £24,000 to turn what into a lightsaber to mark the premiere of the film the Force Awakens? Bonus: Carrie Fisher was accompanied by a French bulldog on the red carpet for the premiere of the film. What is the dog called? Bonus: Where did Sian Welby make 12 references in 40 seconds to the Star Wars film? 9. What happened to Spanish prime minister Mariano Rajoy while campaigning in the city of Pontevedrahas? 10. The Department for Environment, Food and Rural Affairs issued alerts for most of England and Wales, warning that older people, asthma sufferers and those with breathing difficulties were at risk from what? 11. Who sang her partner's favourite song 'The Folks Who Live on the Hill’ at a funeral in County Cork? 12. Who did Russian President Vladimir Putin describe as 'a very flamboyant man, very talented’? 13. England were drawn in group B in the Euro 2016 draw along with Wales and which other two countries? Half a point each. 14. Who was released after serving only half of his prison sentence? 15. Former England goalkeeper Gordon Banks announced that he is suffering with cancer of what organ? 16. Centuries of deep coal mining in Britain will end with the closure of which North Yorkshire pit? 17. The Government announced it is to cut subsidies by 65 per cent to householders installing what? 18. Which company was ordered to pay £26million after it sent out inaccurate bills and failed to deal with complaints correctly? 19. How many of France’s regional governments did Marine Le Penn’s Front National take control of in the regional elections? 20. Why did Rita Orla apologise to Olly Murs after seeing X Factor footage? Bonus: The X Factor finalists sang a cover of Forever Young. Who wrote it? I said goodbye to the Daily Mail Australia trainees this weekend. They had a busy final week with sessions by video editor Ian Perry, Showbiz editor Jade Watkins, Femail editor Andrea Magrath and deputy managing editor Scott Langham. They had some good stories published too. 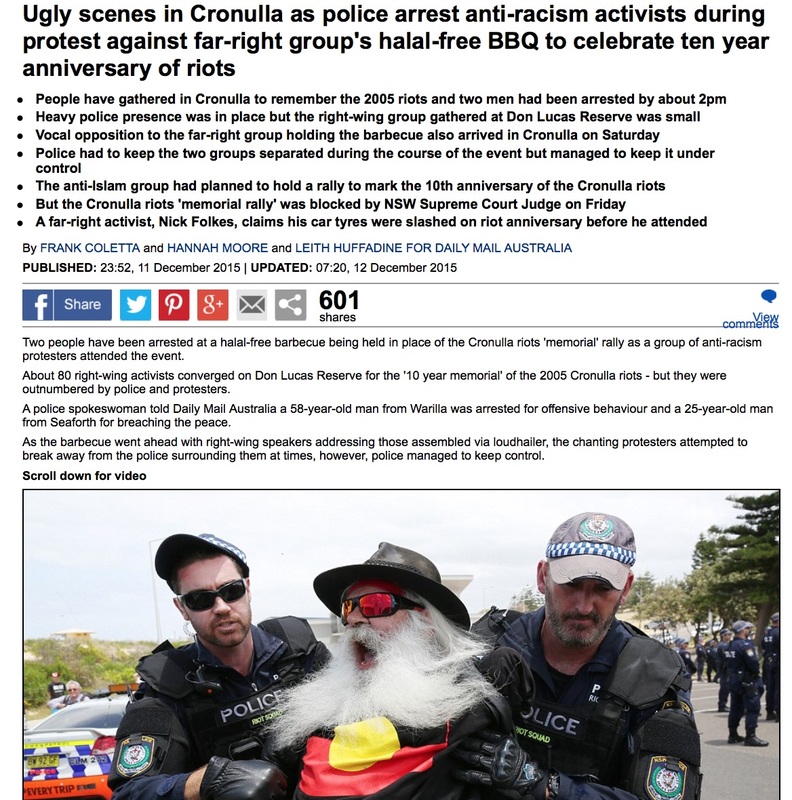 Hannah Moore missed the Christmas party to go to a public meeting on the Cronulla riots and then spent today reporting and taking pictures on the anniversary protests - resulting in a joint byline on the splash and picture credits too. Well done Hannah. Nic White brought in his third story of the course, on the 100th anniversary of Australia's first Nobel Prize winners. Read it here. Holly Pascoe wrote a story about the Salvation Army giving lifts to young drunken girls after taxi drivers left them stranded. Aneeta Bhole not only wrote a story about a house being smashed up by partygoers in Sydney but she also took the video. Watch it here. 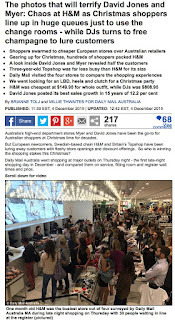 Alisha Buaya also wrote a Christmas story on the rise of the turducken in Australia which was published on Femail. Read it here. We had farewell drinks at The Morrison on Tuesday (thanks for the book of NT News headlines and the wine) and on Thursday we went to the office Christmas party at the Waterfront overlooking the Opera House and the Harbour Bridge. There were fantastic views, a clever magician, an artist doing caricatures, a secret Santa, a stirring speech and flowing drinks. Thanks to editor Luke Mcilveen, news-editor Barclay Crawford and Lucy McGirr for the invitation and for making me feel very welcome over the last four weeks. As always, we finished with the newsquiz. There were scratchcards for Alisha Buaya for writing the best headlines over the four weeks and Nic White for prolific storygathering. This week's quiz winner was Josh Hanrahan with 12 points. The overall winner, though, was Holly Pascoe who collected the Champagne. Well done Holly. The trainees are all heading over to the UK in the new year for placements on regional newspapers and to spend some time at MailOnline in London before heading back to Sydney in the spring. I wish them well. Here's this week's quiz. See if you can beat Josh's 12 and let me know how you get on. Next week the newsquiz will return to its normal UK focus. 1. Up to 80 students at Brunswick North West Primary School, in Melbourne's north, were laid low with which illness? 2. A 15-year-old boy and a 20-year-old man were arrested on terrorist charges in Sydney’s South West as part of which ongoing operation? 3. The 15-year-old texted his co-accused saying ‘I am going to get to paradise through ________' What is the missing word? 4. 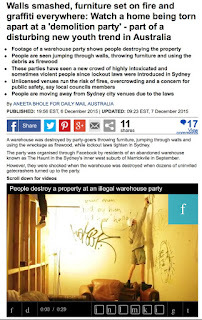 Police raided the Sydney home of the Bitcoin founder. What is his name? 5. The AACTA awards took place in Sydney on Wednesday night. What does AACTA stand for? 6. Who was honoured with the Longford Lyell lifetime achievement award? 7. What was the name of the rebel biker who shot Darren Wallace and then turned the gun on himself? 8. The 'biker war' murder took place at a service station in which town? 9. Whose concert at the Allianz Stadium in Moore Park was hit by Wednesday’s thunderstorm? 10. Who was named Time Magazine’s person of the Year? 11. Who was the controversial runner-up? 12. Cindy Kimberly said: 'I so do not know how to deal with this.’ What was she talking about? 13. What have Kim and Kanye named their son? 14. Who became the face of the Cronulla riots ten years ago after inciting a crowd to get 'Lebs' off the beach? 15. A siege at which airport resulted in at least 50 people being killed this week? 16. U2 and the Eagles of Death Metal played together at which Paris venue? 17. What song did the two groups play together? 18. A public health investigation was launched into the outbreak of food poisoning at a popular Brisbane pub after 20 customers fell ill after eating chicken parmigiana. Name the pub. 20. Why was Sarah Haynes in the headlines? 21. Abdullah Elmir who had promised to cut off the hands of people who oppose ISIS is believed to have been killed in an airstrike. What was his nickname? 22. Harrison Ford was in Sydney for a fan event at the Opera House. What is the title of the latest Star Wars movie due for release in Australia next week? 23. It was the 100th anniversary of Australia’s first Nobel Prize winners. Name them. 24. A warehouse worker lost his job at Market Gardeners Limited near Auckland, New Zealand, after his boss claimed he stole what from the works Christmas party? 25. Melbourne author Jo Hirst wrote a children's book after her young son came out as transgender and she struggled to find resources to help him. What is the book called? 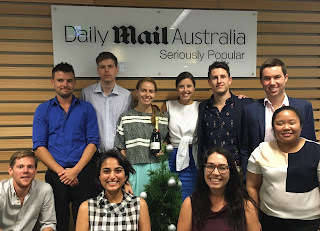 The trainees for Daily Mail Australia have now finished their third week. 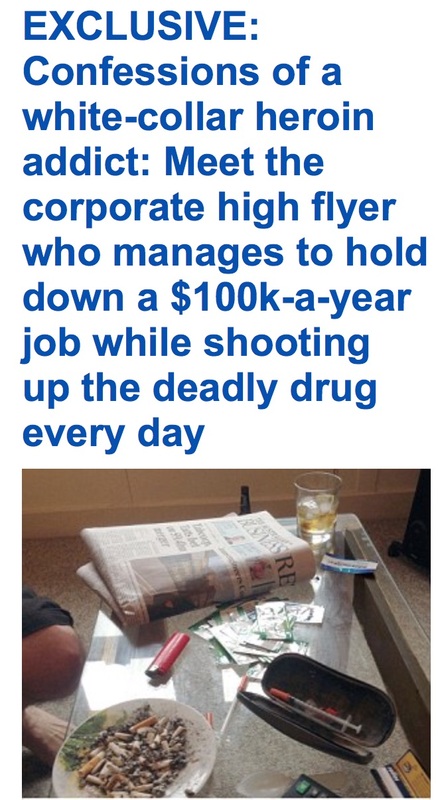 Well done to Max Margan who got the splash for his story on a white-collar worker on $100K-a-year who shoots heroin every day. 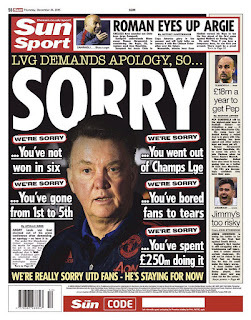 It is the first time a trainee has written the splash while on the course. Millie Thwaites also had a good week - getting the banner after doing Christmas shopping research with senior reporter Brianne Tolj on Thursday night. 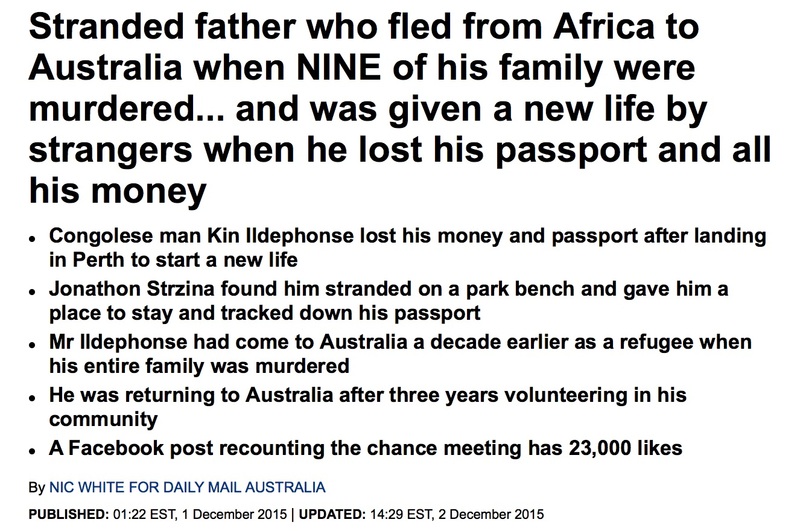 Nic White was also published during the week with a story he brought in about how a man, who lost nine of his family, is being overwhelmed by Australian hospitality. That is eight trainee stories published during the course so far - two each for Nic and Millie. They have also been working on wire stories, pitching travel features, coming up with forward planning ideas and writing obituaries. Yesterday they had an excellent session on the realities of the job with assistant news-editor Euan Black. As always we finished the week with the news quiz, Well done again to Holly Pascoe who, with 13.5 points, won for the second week in a row. She will take some catching for the overall prize next week. See if you can do better and let me know how you get on. 2. Foreign minister Julie Bishop arranged for a private jet to collect her and her partner from a charity dinner in Perth, so she would be back to attend her 7am ministerial meetings. How much did the trip cost taxpayers? 3. What is the name of Bishop's partner? 4. Which online store has been criticised for its Black Friday slogan? 5. What was the store's Black Friday slogan that offended? 6. What did District Court Judge Gregory Farmer do to avoid a confrontation with Muslim extremist Milad bin Ahmad-Shah al-Ahmadzai? 7. Why did American R&B singer Chris Brown cancel his tour of Australia and New Zealand? 9. What have Mark Zuckerberg and his wife called their baby daughter? 10. Hollywood star Mel Gibson is filming his new movie in Richmond. What is the film called? 11. 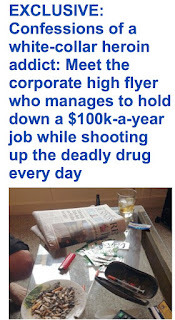 What was the pseudonym used by the Australian white collar heroin user who holds down a $100K job? 12. According to Indonesian investigators, which part of the plane that led to an Air Asia flight crashing killing 162 people was faulty? 13. Which best-selling biscuit is at the centre of a supermarket price war? 14. At which arena did Oprah Winfrey start her Australian tour? 15. How many UK MPs voted in favour to bomb Syria? 16. Two doctors on-board an Emirates flight, that made an emergency landing in Perth, used what to help a woman who had gone into labour? 17. Why was former football agent Ricky Nixon arrested? 18. PM’s wife Lucy Turnbull is the new chief commissioner of which organisation? 19. Who faces being sent to jail before Christmas day after five Supreme Court judges upgraded a conviction to murder? 20. Why was Our Lady of Mercy Syriac Catholic Church, in Concord in Sydney's west, in the headlines? 21. Who said ‘I crave normalcy!’ after being named Billboard’s Woman Of The Year? 22. Former NSW police officer Amy Shaw has been in a battle for almost three-years with an insurance company for a payout for her permanent disability that does not allow her to work. Which insurance company? 24. A man arrested after a tense seven-hour stand off with police in Ashcroft, west of Sydney was armed with a pipe bomb and how many guns? 25. Project host Waleed Aly played a guitar solo from a song by which well-known band at the Walkley journalism awards in Melbourne on Thursday evening? 26. What is the name of Aly’s band?